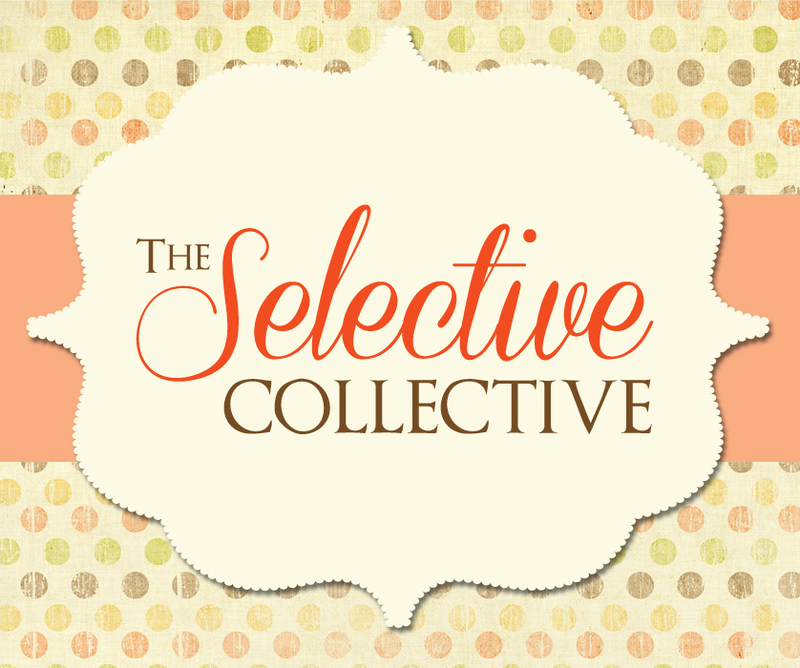 The Selective Collective features THE PROMISE OF AMAZING: Author Interview & Giveaway! The Selective Collective reads THE PROMISE OF AMAZING by ROBIN CONSTANTINE! The Selective Collective features THE PROMISE OF AMAZING by ROBIN CONSTANTINE provided to us by Harper Teen for review and use in The Selective Collective feature! For my part in this Selective Collective post, I was fortunate enough to interview author Robin Constantine about her debut novel, THE PROMISE OF AMAZING! Book Synopsis: Wren Caswell is average. Ranked in the middle of her class at Sacred Heart, she’s not popular, but not a social misfit. Wren is the quiet, “good” girl who’s always done what she’s supposed to—only now in her junior year, this passive strategy is backfiring. She wants to change, but doesn’t know how. Brittany: I’ve heard you have a special “New Jersey Playlist” for the book! How important was the setting to you when writing and forming your characters? Robin Constantine: When I began The Promise of Amazing I struggled with what could set it apart. That old adage – write what you know – kept going through my head. Well, I know Jersey and wondered what it would be like to write through that filter. So I decided to write the story as if it all took place in my hometown – with little liberties here and there, of course. It definitely shaped the characters! Bayonne is the kind of town where generations of people live, so it’s not out of the ordinary to have friends with parents who went to school together. The high school football game that takes place on Thanksgiving in the book is real too, although I believe its importance has faded over the years and it wasn’t particularly a class struggle as depicted in the book, but it was a social event to “see and be seen” at. I think the urban setting gives the characters a more street savvy attitude than they would have if say, they lived in a development in the suburbs – especially the boys and the way they talk to each other. It’s also easy to travel by foot in the city and I think the ease with which the characters can get around also gives them freedoms they might not have elsewhere. All of these factors definitely influenced my writing. B: Wren and Grayson both went to private high schools. Was this an experience you had in your own life? If so, do you think that experience formed you as a person? RC: Yes, I went to a small, all-girl Catholic high school – there were a hundred and two girls in my graduating class. I railed against going, but it was tradition in my family and as it turned out many of my friends from elementary school went there too. I couldn’t stand the idea of being in a school without boys though, but I think ultimately it was a liberating experience. A part of your brain could just shut off and relax, even though there were still a lot of pressures to fit in, be popular, do well, there was also a lot of camaraderie. It made me focus on schoolwork more (at least during the school day) and I forged such strong relationships with my friends that continue even today. I don’t think I was ever really aware of how much my time in high school influenced me as an adult, until I went back this past summer for a multi year reunion. Graduation was so exciting for me – I wasn’t sad to leave high school, I was psyched to face the future. I didn’t expect to feel so nostalgic at the reunion, but I did. I even welled up during the alma mater! Walking down the halls as an adult was such an odd experience – so many memories came flooding back to me. Some of what I took away from my high school experience was a love of learning (especially English), a sense of discipline and to expect nothing less than the best of myself. I also realized how much I envisioned The Promise of Amazing taking place in that particular private school setting. I’d see a certain place in the hallway or cafeteria and think “This is where Wren fights with Ava” “This is where the girls eat lunch” “That’s where Grayson parked when he picked up Wren for the first time”. It was weird!! B: Alternate ending! (Or beginning I guess!!) Do you think Wren and Grayson would have gotten together had Wren not saved Grayson’s life? Would Wren have gone on her planned path of trying to work at the Camelot? RC: Wow, this is a really interesting question! I would like to think that yes, Wren and Grayson would have gotten together somehow, maybe at a party, or maybe Grayson would have answered a help wanted ad for cater waiters at The Camelot or something. If they had met under more normal circumstances, their relationship would have evolved at a much slower pace. Maybe an awkward first date (although vomiting on someone’s shoes is pretty awkward) or a trip to the movies, or even going ice skating like they do in the book. I think the fact that they meet so dramatically, makes everything seem more urgent – they already have a shared intimacy that makes them feel closer. Wren also has this underlying feeling of responsibility toward Grayson because she saved his life. Without that, I’m not sure she would be so forgiving. For that matter, if Grayson and Wren met further down the road, I think Grayson’s past wouldn’t be an issue at all. Hmmm, might have saved them both some pain! I don’t think Wren would have taken over the family business. She truly only considered it a fallback. If she had taken that path, I think it ultimately would have been unfulfilling for her. B: I loved the Camelot, by the way! How did you come up with the idea for Wren’s family to own an Arthurian-themed restaurant/banquet hall? Was there any special meaning behind King Arthur versus another theme? RC: Thank you! It’s one of my favorite parts of the story! In the earliest scribbles – Wren worked in a coffee shop. I think this would have been limiting with what I wanted to do with the story, so when I really starting hashing it out, I changed it to a catering hall. I worked as a waitress, so I knew the potential for a cast of characters and funny situations was there. I also liked that The Camelot was a family business, this brought yet another dimension to the story. I definitely thought about the theme and picked The Camelot for a number of reasons. First, I picked it for the pure kitsch factor of having a catering hall that could have ballrooms with character names like Lancelot and Guinevere. I made a timeline of when I thought the Camelot would have originated, I imagined Wren’s great grandfather being totally enamored with the ideals of Camelot – a nod to the Kennedy generation and also to the Arthurian legend itself, and the fact that it represents unlimited potential and tradition. I really like that by the end of the novel, The Camelot gets reimagined as well. B: There’s a lot of focus on academics in The Promise of Amazing, both with Wren and her stress over struggling for the first time and the drama surrounding the reason that Grayson got kicked out of his old school. Was the pressure of academics an intentional theme of the book? RC: Yes. I think teenagers face such pressure to succeed and have a well-rounded resume that sometimes the fact that they are still kids gets forgotten. Having gone through it and come out on the other side – you have more of a perspective that you really can ‘bloom where you’re planted’, that not getting into an Ivy League school isn’t going to make or break you, but tell that to a teenager who is going through those pressures and you’d be met with an eye roll for sure. Everything is monumental. At that time when you’re trying to figure out what you want to do with the rest of your life, every decision seems paramount. On the other hand you’re worried about that party on Friday night, or the football game or prom or just that guy or girl you like in your Economics class who hardly knows you exist. It’s such a volatile time of life and I did want to show that even if your plan isn’t perfect – whatever path you take has potential to be great. B: The Promise of Amazing is your debut novel. Had you been working on anything prior to this book or was this the book you always knew you wanted to write? RC: The Promise of Amazing is the third novel I’ve written. My first one is collecting dust on my hard drive. My second novel connected me with my agent and made it as far as an acquisitions meeting but ultimately didn’t sell because it didn’t have a strong enough hook. When I started writing TPofA, I really did have a “this is it” mindset. Not that I would have stopped writing, but I might have stopped taking it so seriously for a while. I poured everything into this book – I went though a few rounds of revision with my agent alone – and oddly enough, it’s the most personal book of the three I’ve written, so maybe that had something to do with it getting published. I adore this story and all the characters (yes, even Luke and Ava), and in many ways it’s a love letter to my sixteen-year old self but I have my eye on this other story…that feels important…now that’s the one I want to write, but I’m still not ready for it yet. One day! Thank you so much for having me on your blog!!! Thank you SO MUCH, Robin!!! Those were amazingly fantastic answers and it definitely made the book that much more special 🙂 I loved learning more about the book and about your writing process for the story as well! We also have a giveaway! One lucky winner will win a copy of THE PROMISE OF AMAZING! Sorry, this is for US/Canada entries only. Please use the Rafflecopter form below to enter! The giveaway will be open for one week. And please don’t forget to check out the features from the other ladies in The Selective Collective! We each have a post to feature a different side of THE PROMISE OF AMAZING so please go visit their take on the book as well! This entry was posted in Author Interview, Books, Contemporary, Selective Collective, YA and tagged Books, Contemporary, Robin Constantine, The Promise of Amazing, The Selective Collective, YA, Young Adult on December 18, 2013 by Brittany.